One of the most iconic places to live in California is the city of San Francisco that offers a variety of bay view condos and water close homes. 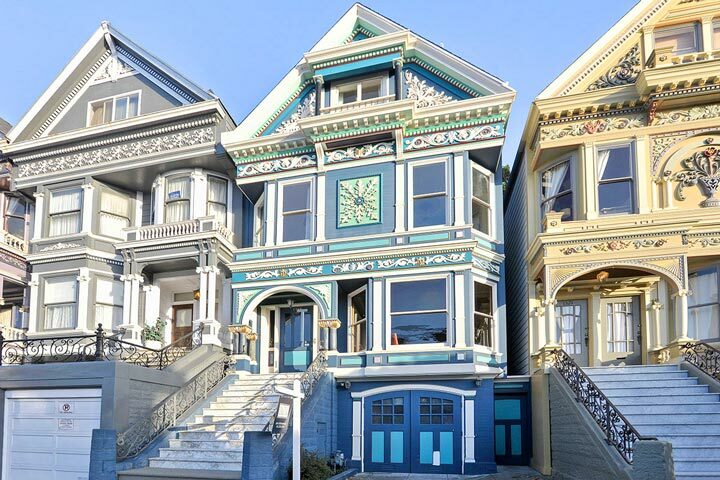 The city offers a wide variety of architectural style homes that range from stunning victorian homes that date back to the early 1900’s to Mission style homes from the 1920’s. There are so many great neighborhoods to explore like the upscale neighborhoods of Pacific Heights and Nob Hill that offer grand estate homes to luxury condo apartments. The real estate market is very fluid and typically one of the strongest markets in all of California. There is a strong international market that see’s buyers purchasing property from all across the world. San Francisco also offers business opportunities all throughout the city like the hip Soma area that offers many residential buildings, bars and clubs. This also includes residential income and commercial properties like medical office buildings that are located in the Pacific Heights neighborhood. The trend to buy a duplex property while living in one side and renting out the other has become a very popular and affordable way to live in the city. There are also new neighborhoods being developed like the Summit 800 community that offers a variety of traditional single family homes and attached condominiums. Our guide to real estate in San Francisco will explore all the residential neighborhoods as well as the best condo buildings that can offer wonderful bay views. Please contact us at 888-990-7111 with questions regarding any of the various neighborhoods or homes listed here.